This is a space to help anyone who's getting married and need some help! After working with a lot of clients that find themselves lost when planning a wedding, I decide to share my tips to have the wedding of your dreams! Feel free to share, print and download, they are free and hopefully useful! Every wedding it's different but some of the main steps can be very similar. This a list for the usual steps of a wedding day and what to expect regarding photos. 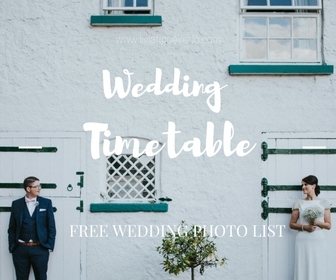 If you are not sure which steps you will want your photographer to shoot, give this timetable model a go! Are you shy in front of the camera? Maybe you and your partner don't see why having more pictures of yourself other than your wedding pics? Here's a few reasons why having an engagement photo shoot it's the best idea!